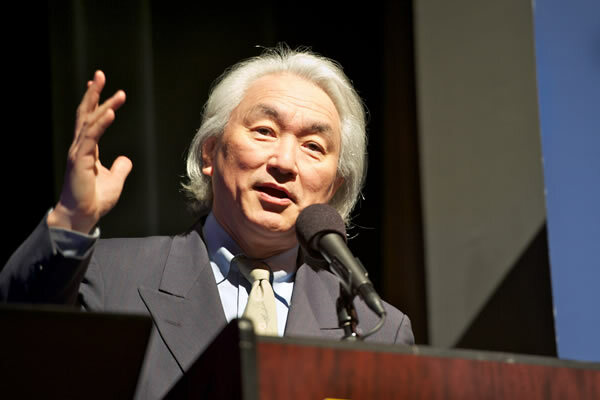 Michio Kaku is the Henry Semat Professor of Theoretical Physics at the Graduate Centre of the City University of New York. His goal is to complete Einstein’s dream of a “theory of everything”, a single equation that unifies the 4 fundamental forces of the universe. From interviews to documentaries, Dr. Kaku has explained the most fascinating and complex ideas in science today, in ways that are elegant and easy to understand. Michio presented a three part TV series on BBC4 Visions of the Future, which explored the cutting edge science of today, tomorrow and beyond. His technical books are required reading for scores of Ph.D. graduate students in major physics laboratories around the world. His weekly radio programme Explorations in Science focuses on topics such as frontiers in physics, black holes, time machines, hyperspace, the human genome project and genetic engineering. Using the cutting edge research of today’s foremost scientists he explores the science of tomorrow: computers, artificial intelligence, reshaping our genetic inheritance. He explains how science is opening entirely new avenues for society and organisations at large. A mesmerising and humorous speaker, he conveys a contagious sense of the wonders of science of today and tomorrow. He delivers a clear message of tomorrow’s world propelling you into the future, which provides you with valuable advice on preparing for change.